​The award-winning Spirit™ POS system is the result of our continued pursuit of delivering the most powerful, robust and intuitive system on the market. The system is designed to take advantage of client/server technology with built-in reliability and scalability. Our Fail Safe register technology enables unparalleled protection of critical data. Our solution combines the best of software design and hardware technology into one incredible system. Since 1991 we have been listening closely to customers and continue to add features to satisfy increasingly sophisticated retailers. 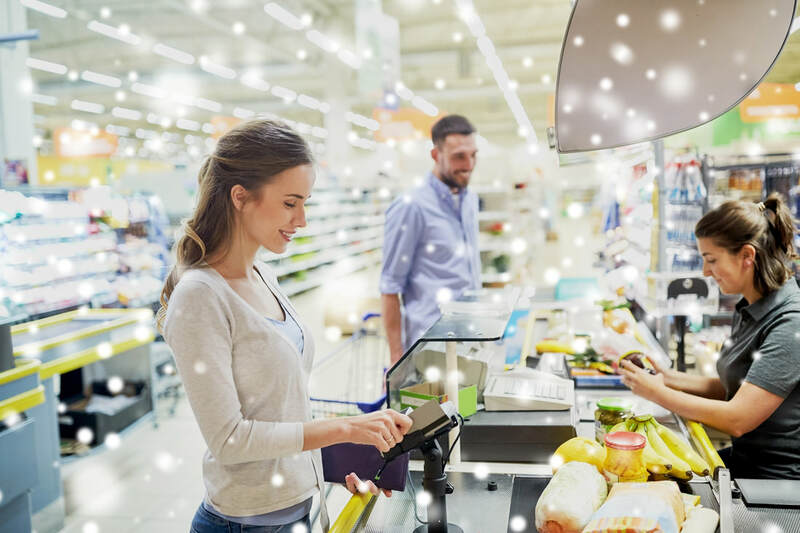 The demand for a complete Point of Sale system has increased year after year. Retailers are quickly realizing that in order to stay competitive, inventory control is no longer a luxury. 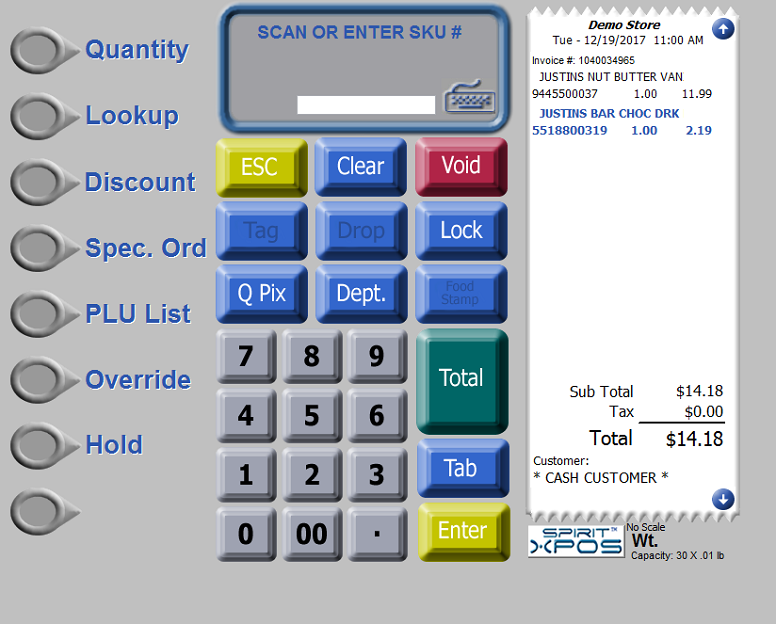 The Spirit™ POS system was designed with a wide array of features, as well as the flexibility and speed that the retail industry requires. 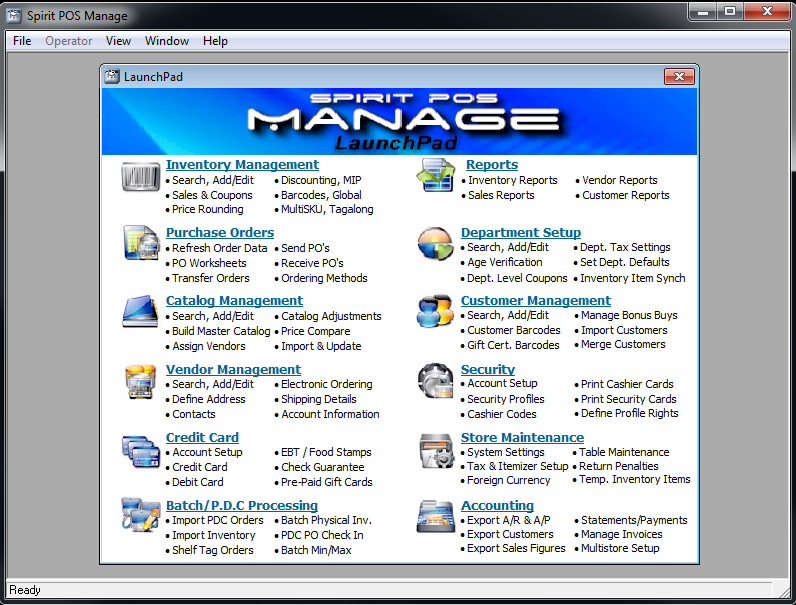 Store owners, like yourselves, helped in the development of our software. Our ongoing commitment to listen to our customers for new and innovative ideas has always kept our software ahead of the competition.